These Zimbra favorite features will save you time—big time! Just for YOU! 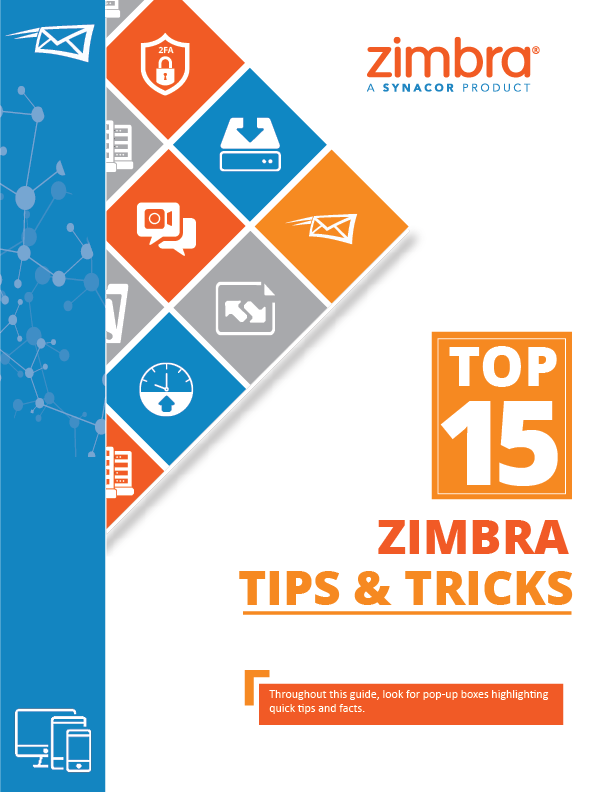 Zimbra's Top 15 Tips & Tricks is our gift to you and every Zimbra fan. Each tip has easy-to-follow graphics and video demos! Our promise? You will learn something about Zimbra you never knew!